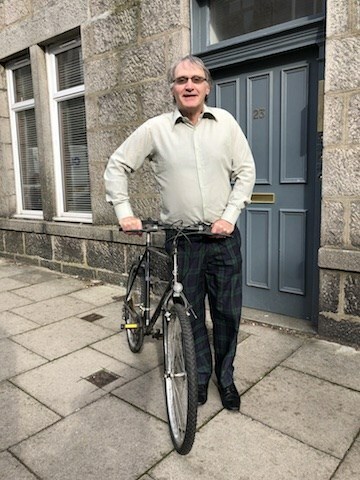 "I was knocked off my bicycle in Aberdeen by a careless driver whilst negotiating a roundabout. My injuries were such that I needed a hip replacement. Within six months of contacting Cycle Law Scotland, I received compensation into my bank account. Apart from signing the odd form, sending a few e-mails and taking my bike for assessment, I didn't need to do virtually anything - this is the sort of job I enjoy! I would have found it a drag to do it all myself, so I possibly wouldn’t have bothered and I certainly wouldn't have known what was a good settlement. Many thanks to CLS – they certainly earned their fee!"